The LeMaire and Faulk families enjoyed Nan Boone’s delicious syrup cake for many years before the recipe was finally passed on. 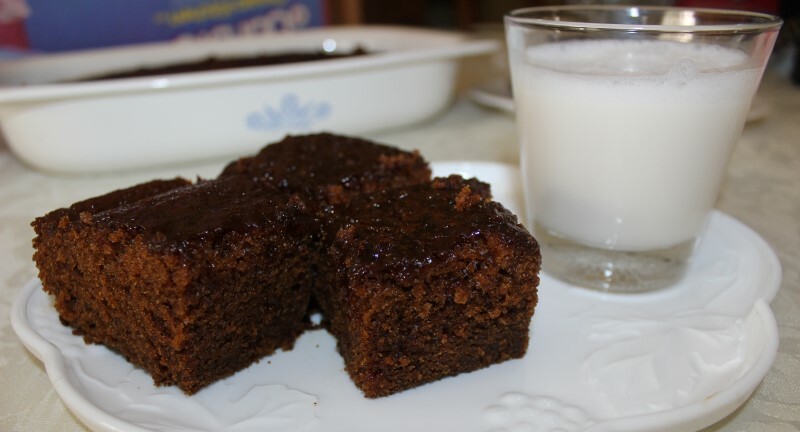 Nan Boone was often asked for the recipe but always said it was “a little bit of this and a little bit of that.” After trying to get a more exact recipe out of Nan Boone for years, her daughter, “Nanny” Ouida, watched over her shoulder as she made the syrup cake. Nanny wrote down all the instructions and passed it around the family. Nobody else could make it like Nan Boon until about a decade after her death when her great niece was able to perfect the recipe. She entered the dish into one of the Steen’s family cooking contests where she won the grand prize overall and was personally complimented by the Steen’s family. Cream eggs, sugar, cooking oil and Steen's syrup together. Blend in all other dry ingredients. Once nicely blended, add in 1 cup boiling water. Pour in a greased and floured 9x12 pan and bake at 325 degrees for 30 to 45 minutes. You can test for doneness by sticking a toothpick into the cake; when it comes out clean, it's done. Store in a closed container and refrigerate after cooling to enhance the flavor. It is best if refrigerated overnight but a couple of hours will do. Cut, serve, and enjoy!